And where is that barrier? The Best Way To see What I've been Doing Recently Is To Click Here! 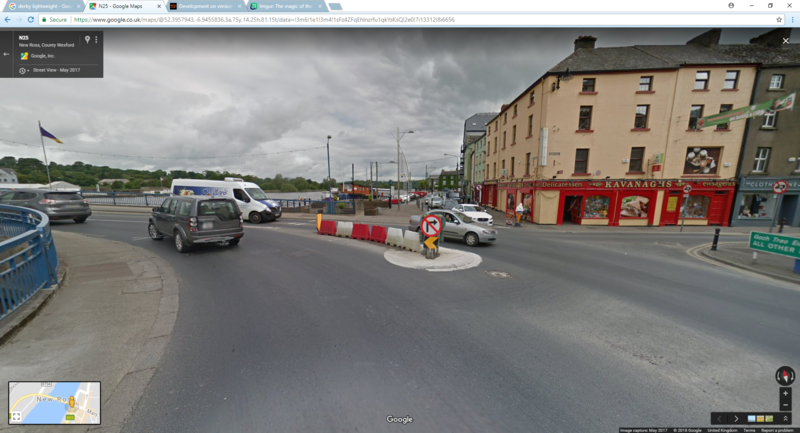 That barrier could have something to do with the heavy traffic that can be seen on streetview. That way the small roundabout can't gridlock. Glad to see more parts of Ireland in the works! Hopefully more to come! Finally! Some work on Ireland! Been waiting (im)patiently for this. And what makes me more happier is how familiar it all is! I've been through New Ross several times on the way to England, so the route to Wales is very familiar also. There isn't usually any traffic there, though I haven't passed New Ross since July of last year. wonderful job bricksathome that looks good and hopefully you would get cork soon i would love cork and shannon in ireland. Ireland just keeps getting better and better! Thank you for your great ideas and future plans, and keep up the BRILLIANT work!